awfully big reviews: A HAPPY NEW READING YEAR TO YOU ALL! A HAPPY NEW READING YEAR TO YOU ALL! Hope that you had a very comfortable and happy holiday and that you received (or bought for yourself) some wonderful books. As ever, in 2012, Awfully Big Reviews will bring you a mix of specially chosen books for children and for young people. ABR also includes occasional reviews of novels for adults as well as books about writing and educational matters. So I'd like to start the year by mentioning my favourite adult non-fiction book of last year: "Nature's Engraver: A Life of Thomas Bewick" by biographer Jenny Uglow. 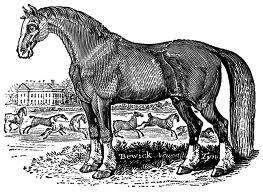 Thomas Bewick was a farmer's son from Tyneside who revolutionised wood-engraving and influenced book illustration for a century to come. He produced hundreds of images for all sorts of publications, but he is most known for his best-selling book, "History of British Birds". Uglow sets Bewick's story within its historical period, a time that included new understandings of science, religion and industry as well as an increase in reading, printing and books. Bewick's finely detailed woodcuts of birds and animals seem comfortably familiar now when they appear on pub walls and dinner mats and tea-towels and so on. But back in the eighteenth century, his precise woodcuts were instrumental in spreading an interest in natural history and animal husbandry. 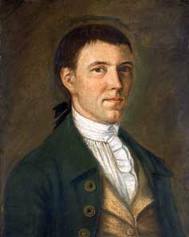 Why is the story of Thomas Bewick relevant to Awfully Big Reviews? Although his wonderfully illustrated books were intended for adults, the pictures made them much loved by children at the time. I have just read "The Tenant of Wildfell Hall" and feel sure that "Bewick" is the book Anne Bronte shows the young son reading with contentment and interest. Iin later life, Bewick often met naturalists whose education and interest had sprung from his careful studies of birds and their habitats and his approach to illustration certainly influenced some of the earliest books printed specifically for children. 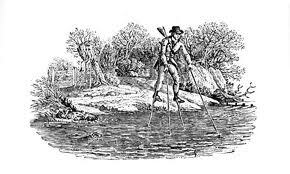 Maybe Thomas Bewick, that wild boy who mis-spent his youth fishing on the banks of the Tyne, created the first "cross-over" book? Hint. If you can, borrow this book in the 2006 Faber hardback edition from your local library . You might find the real-sized tiny illustrations easier to study than those in my 2007 paperback. Or else get a magnifying glass! Oh, Penny, I'm so glad you loved that book too! I found it such a fun and exciting read; the kind that brings together little bits of other history as it tells the story of one rather likeable man. But when I set it as the book for my book group they all found it 'unreadable', and I don't think any of them finished it. I, on the other hand, had enjoyed re-reading it as much as the first time! So glad that someone else found it just as delightful - I was amazed at his determination and energy as well as the descriptions of old Newcastle and the choice between travelling to London by boat or by road and much more. I had wondered about suggesting it to my Reading Group too but decided against it. I think it's because this is a book about history in its widest and most interesting sense - not just a single life - whereas the "issues" in books are what my group likes talking about. I now have a copy of Uglow's "The Lunar Men" all about the group of influential and often self-educated men who met around Birmingham in 18C, including Darwin's dad, but also picked up an Oxfam copy of her "The Gambling Man" about ChII - what a choice! 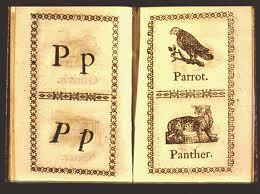 But the Bewick book is a total pleasure.